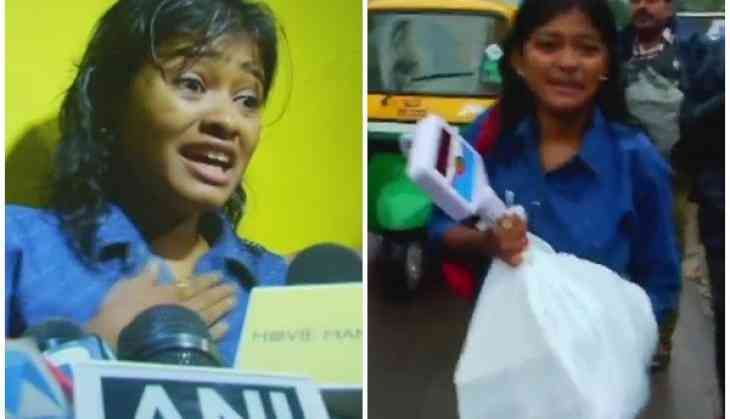 The Chief Minister's Office (CMO) of Kerala on Friday directed the State Police to take action against those who allegedly posted insulting comments on social media platforms against a 21-year-old-girl Hanan Hamid, who was trolled for selling fish to meet her needs. The CMO has also directed the District Collector to give protection to Hanan. Union Minister of State KJ Alphons has also extended his support to Hanan. Alphons posted on Facebook: Kerala sharks stop attacking #Hanan. I'm ashamed. Here is a girl trying to put together a shattered life. You vultures!" Hanan, a native of Kerala's Thrissur, is the latest victim of cyberbullying. Since past few days she is apparently receiving a lot of flak after a video clip of her selling fish went viral on social media. Hanan, a BSc in Chemistry student, lives with her mother and brother in a rented house. She sells fish after her college hours. This college girl has become a fish seller out of necessity. She sells fish in the busy Thammanam junction in the city to meet the household expenses and college fees besides study material. Hanan follows a daily routine. She wakes up at 3 a.m. Then she goes to Chambakkara riding her bicycle in the wee hours to buy fishes. After that she returns to a place in Thammanam junction to stock the fishes. Back from the college, she comes to Thammanam again and starts selling fishes. Hanan's story was broadly shared on social media platforms by users, which included film artistes and politicians too. But, like always a section of viewers has raised questions on the authenticity of her story, and called it "fake" or a "publicity stunt". A filmmaker, Arun Gopy, reportedly saw the video clip and offered her a role in a forthcoming film. Since then a twist in the tale has taken place. Viewers of the video clip on social media started trolling her and started a malicious campaign by accusing her of trying to promote the film. A section of people on social media has also accused her of trying to make money by giving her bank account number through the media. After receiving so much criticism, Hanan with teary eyes responded to the allegations and said, "People are making false allegations that it was for promotion of a movie. I am not a fraud. I have no other income. My main aim is to continue studies and support the family. Hanan further said that she is ready to pay back the amount credited in her account. She further requested people not to torture her mentally and also not to send her any money. Hanan also refuted claims of her working on a film. Yesterday, Hanan arrived at her regular spot at Thammanam junction to continue her job of selling fishes but as ousted by the police as crowd thronged the area to catch a glimpse of Hanan.